Friends: The Con is Off. Finish the last, intricately planned steps of your grift by 11:59 p.m. tomorrow, because your devious ways aren't exactly going to mesh with next year's theme. This week, we very casually, almost off-handedly change the automotive industry forever. We just like, drop this earth-shattering car innovation like, no big deal, free of charge. Happy belated Father's Day to you and yours! Assuming that you and yours are all dads, that is. If that's the case -- do you want to set up a super chill group hang for Swag Dads? We'll take our answer off the air. 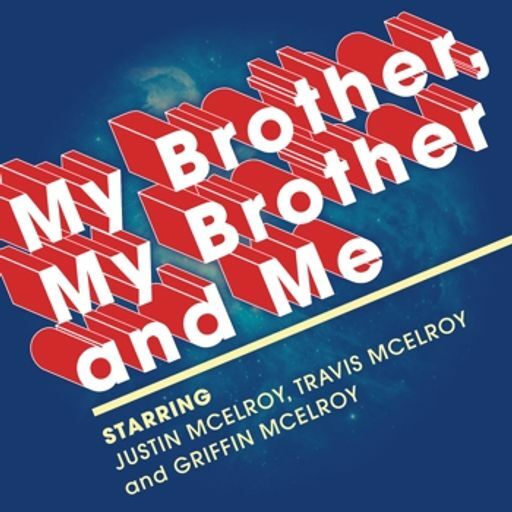 We hope you enjoyed the format of the first 250 episodes of My Brother, My Brother and Me, because we just threw that format right in the garbage. Are you ready for the next generation of comedy-advice fusion? Can any of us really be sure that we've ever actually been on a boat? Really do a deep dive into your own nautical memories, and realize the horrifying truth. Boats are a lie. By listening to this episode of MBMBaM, you are contractually agreeing to allow us to become the masters of your sexual destiny. No need to e-sign anything. This is a one-way verbal agreement. We're back with another round up of our "best" bits from the early years. 15 hours of show condensed to an hour of worthwhile material! That's a bargain. Also, get all the details on our upcoming LA show! 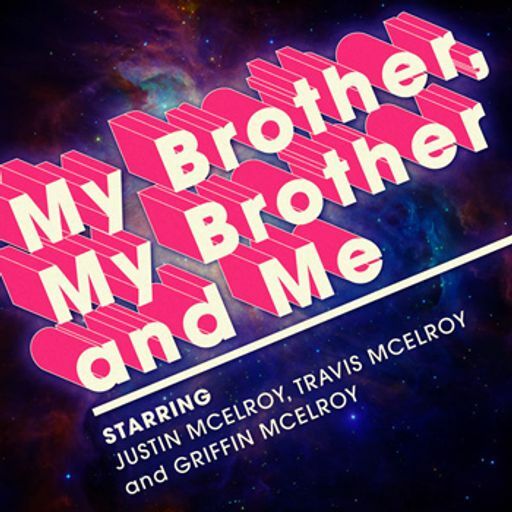 Justin has a bit in this episode that very nearly killed Griffin. This week, the brothers welcome their very first guestspert to the program: Cameron Esposito, who increases the show's normal amount of Macklemore-based discussion by roughly 900 percent. This Child Star Turned His Body Into Hot Dogs For Griffin to Eat. You Won't Believe What Happened Next. Just read those suggested talking points. Are you brave enough to face off against this episode? Gird your loins, because it goes off the rails in like, minute two, and it never really gets back on them.